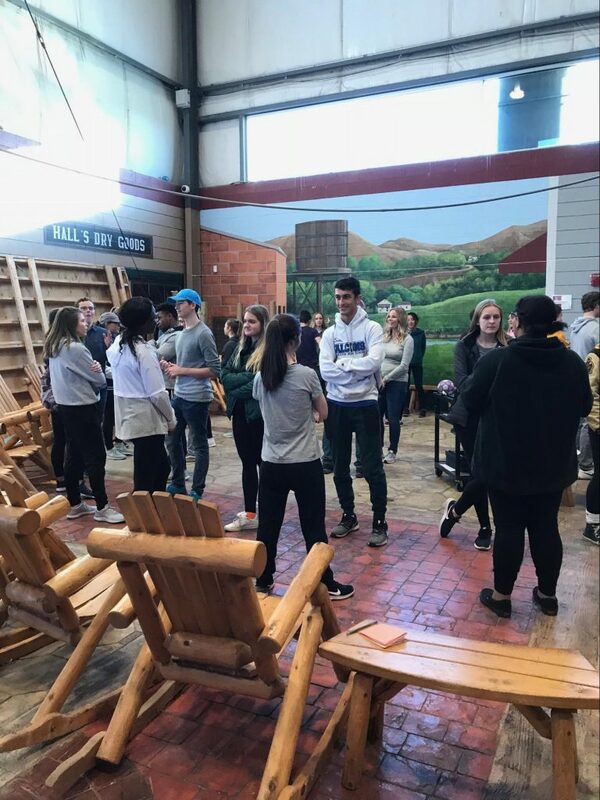 From mid-to-late October to early November, 235 VE students from 23 schools across Michigan participated in the 2018 Michigan State Leadership Conferences at the Genesee Career Institute in Flint, Michigan. Students broke out into department-based groups for networking, hands-on activities, professional development, and personal challenges. Students working in Human Resources and Administration discussed workplace scenarios and how to address various employee situations, Marketing and Design students learned about the importance of branding and promotion, created products, and shared sales pitches, Accounting students learned about Accounts Payable, Accounts Receivable, and Payroll. 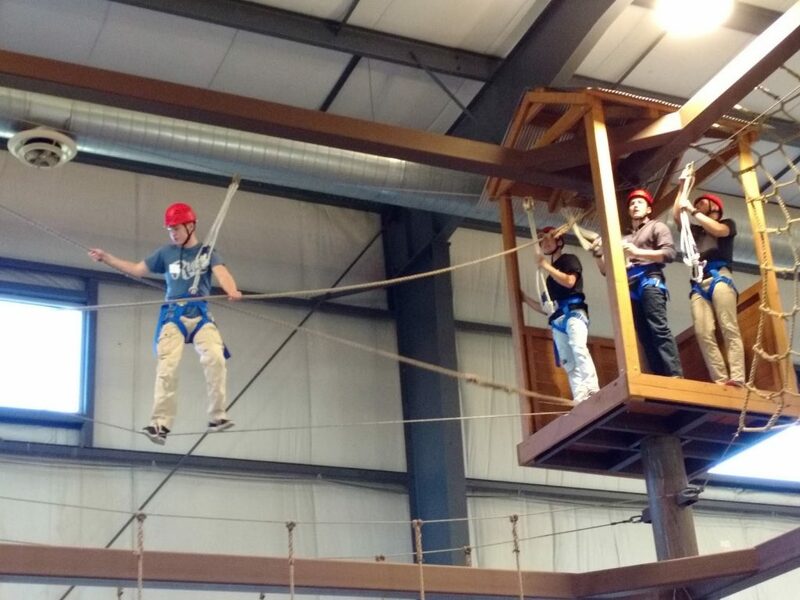 Students networked with one another by finding peers from different schools who shared interests indicated on Bingo cards and were challenged to either rock climb or pass a high ropes course. 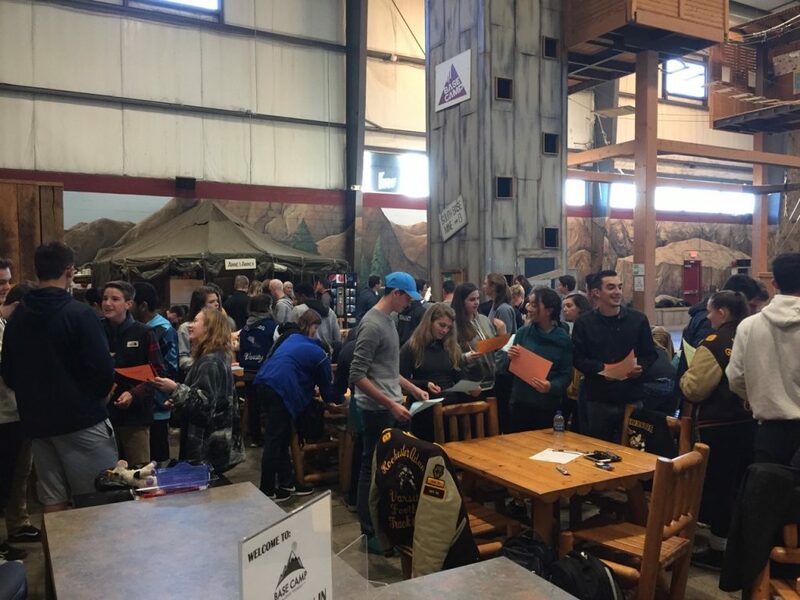 The new Michigan VE Student Ambassadors made their debut at the Leadership Conferences and helped run the leadership conferences by working the registration desk, leading breakout sessions, setting up lunch, and providing mentorship to their fellow students. Michigan VE Student Ambassadors for the 2018-19 school year include Colin Bowler, CEO, MavCo from Milford High School in Highland, MI; Jessica De La Cruz, VP of Human Resources, Imagineers from Lapeer County Education and Technology Center in Attica, MI; Alyssa Grosskopf, VP of Accounting, Imagineers; Zoie Marle, Accounting Executive, Imagineers; Lauren Stephens, VP Sales & Marketing, Roasted Coffee from Trenton High School in Trenton, MI; Veronica Turner, CEO, Imagineers.